A crowd lined Ninth Street, near State Street, where a procession of law enforcement officers arrived alongside the hearse carrying the Milwaukee Police officer killed in the line of duty Wednesday. The crowd was silent as the police motorcycles and squad cars pulled into Downtown Milwaukee. Many civilians stood alongside police officers to pay their respects. "I can't even imagine what MPD is going through," said Mackenzie Vannelli, of Milwaukee, who watched the procession arrive. After the officer's body was carried into the medical examiner's office, Police Chief Alfonso Morales briefly addressed the crowd. Milwaukee Police Chaplain George Papachristou led the group in an emotional prayer. This is the second Milwaukee Police Officer killed in the line of duty this summer. 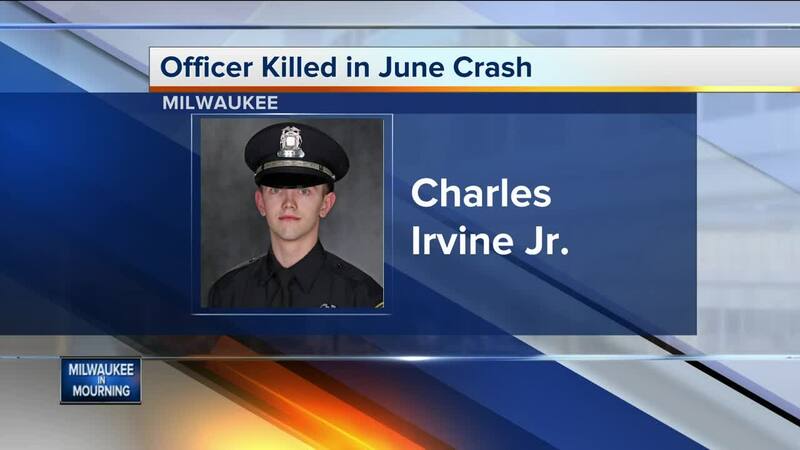 Officer Charles Irvine Jr. died during a pursuit of a suspect last month. Following his death, Papachristou spoke to TODAY'S TMJ4 about how the pain of a line-of-duty death impacts law enforcement officers all around the state and the country. That was evident Wednesday night, as officers from Brown Deer, Wauwatosa, Marquette University and the Milwaukee County Sheriff's Officer were among those who stood alongside MPD's rank and file to honor the fallen officer as the procession arrived.